The Friends' postal address, telephone numbers and the email addresses of the Secretary, the Treasurer and our Publicity Officer are all shown at the foot of each page. 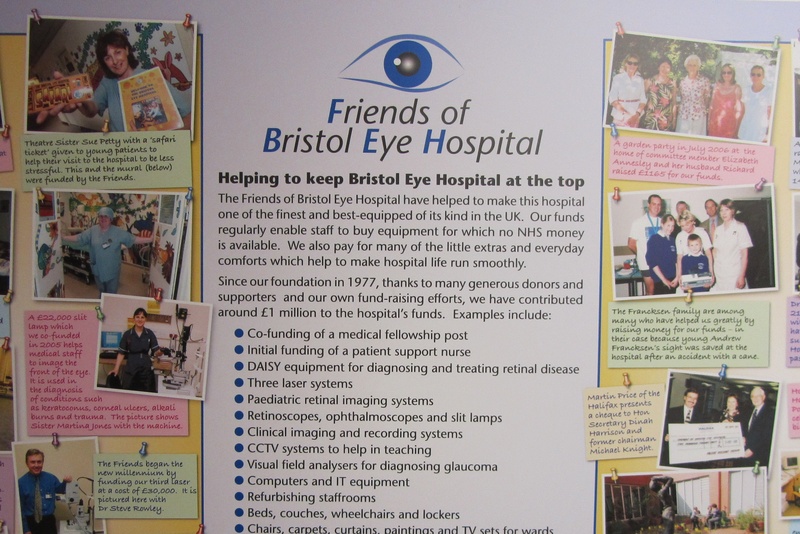 Friends of Bristol Eye Hospital improve care and treatment for patients by helping to pay for medical equipment, patient comforts and staff resources which would not otherwise be provided. 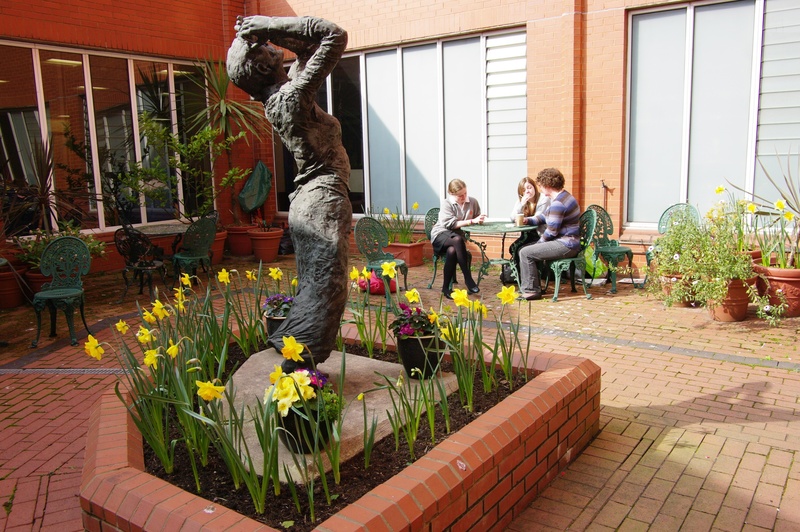 Treatment for all patients has been greatly enhanced by our supporters. For every pound raised, we spend 92½p on this support, 4p on governance costs and 3½p on publicity. Under starters orders! 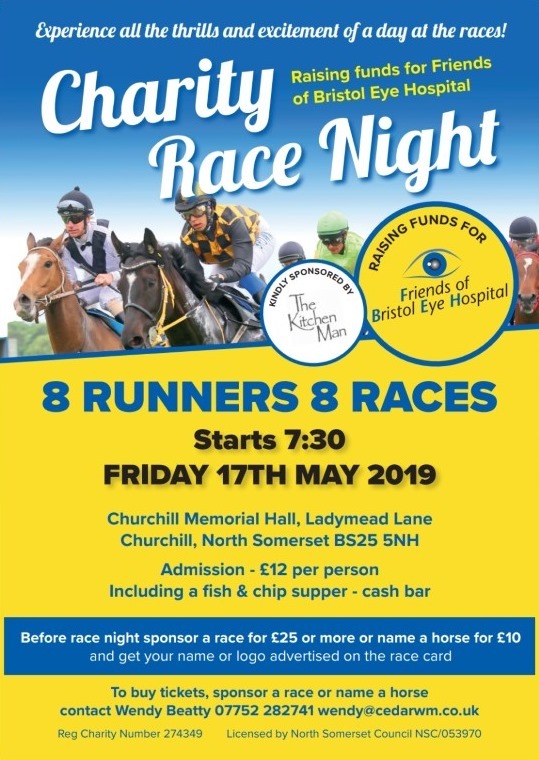 Please come and support our next fundraiser - a fantastic evening of racing fun and frolics! Tickets are £12 each which includes a fish and chip supper. Cash bar. With very grateful thanks to The Kitchen Man for sponsoring this event. 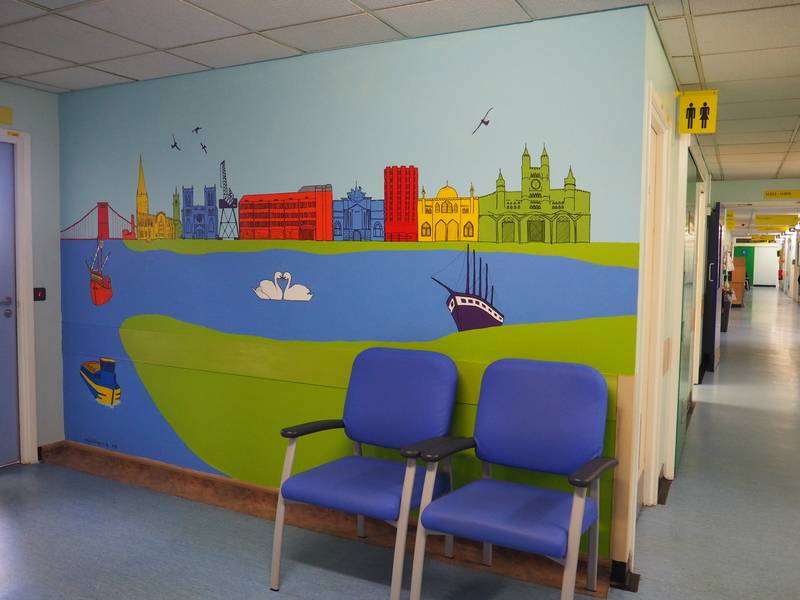 Since January 2019, visitors to Gloucester Ward have been welcomed by a large and colourful mural - commissioned by the hospital’s management, designed and painted by local artist Amy Hutchings and paid for by the Friends. Amy was asked to create a colourful, vibrant and positive image illustrating Bristol Eye Hospital as central to eye health in the city. 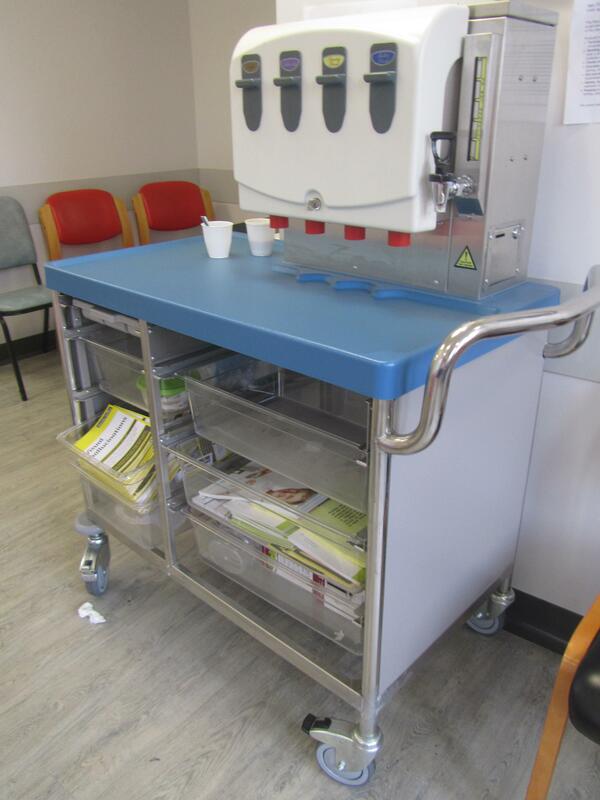 It also had to be robust and easily cleaned to conform to modern hospital health and safety standards. 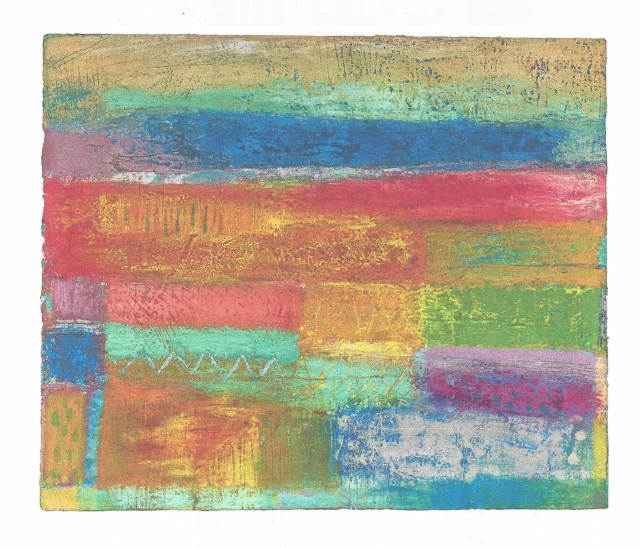 Amy’s design includes BEH in a skyline with green space, sky and water and uses primary colours more visible to the partially sighted and appealing to all ages. The Friends were delighted to fund this project and we’re sure you’ll agree that it creates a much brighter and welcoming environment. Other examples of Amy Hutching’s work can be found at www.amyhutchings.co.uk. 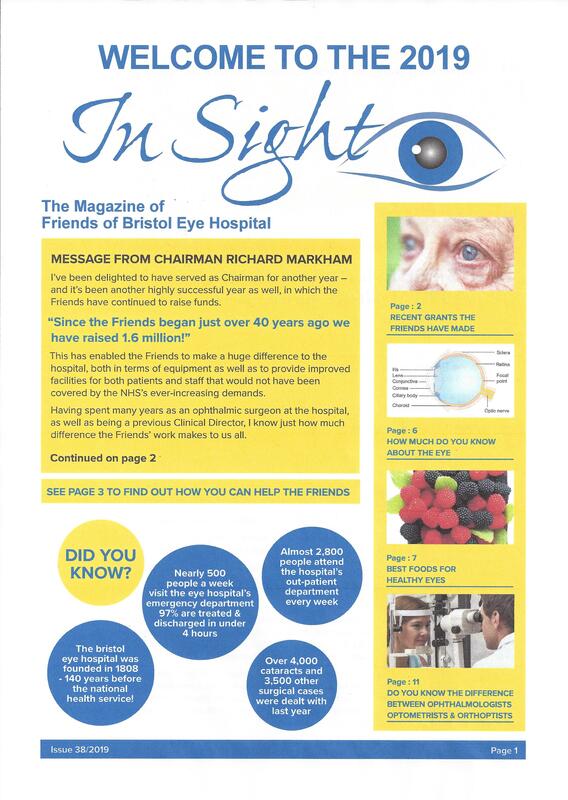 A new edition of In Sight is now available in the Eye Hospital. You can also view or download a copy from our In Sight page. Copies will be distributed to members and supporters shortly. We apologise for the delay in producing In Sight. We have been without a Publicity Officer for a year or so; but we are now delighted to welcome Kevin Abbey in that role and thank him for producing the new edition - our first since April 2017 - a bumper issue of 12 pages. We hope you enjoy it! Captain Martin Paterson said “As captain, I have the choice of which charity my club will support throughout the year. 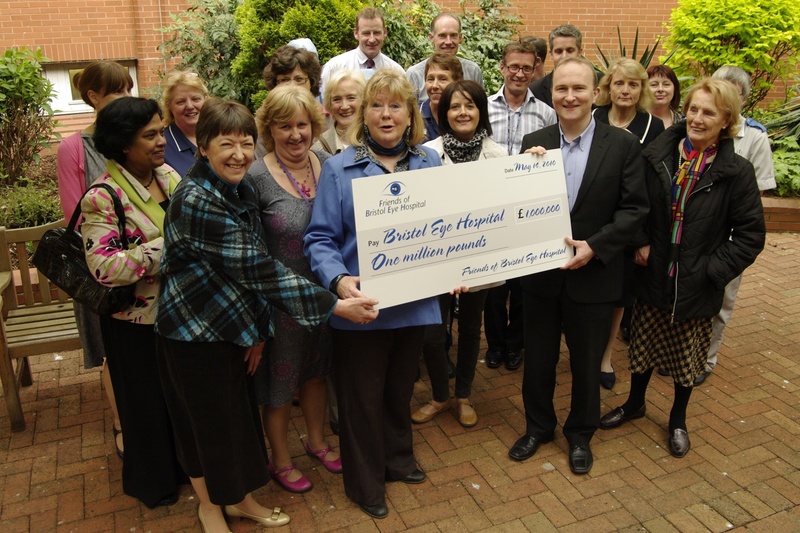 Many of our members, including myself, are currently undergoing or have received treatment at Bristol Eye Hospital. Therefore, to show our gratitude for all the treatment we have received, and after talking with Professor Sparrow, it was an automatic choice to support Friends of Bristol Eye Hospital”. We have designed some new banners for the Bowling Club, based in Weston-super-Mare, to promote the Friends - in readiness for the new outdoor season which starts in April. These will be available for us to use at similar events in future. In addition to promoting us at their many social events and indoor activities, including short mat bowls, the Club’s seven different teams play in various local league games and host games against visiting teams from all over the country. They also have a dedicated charity day where members dress up to a theme for a fun day of bowls. So lots of opportunities to raise funds for and to promote the Friends. We are sad to report the death, on 18 January 2019 at the age of 79, of Brenda Fearn, formerly Sister in charge of Day-Case Cataract Surgery, Day-Case Children’s Surgery and Pre-Op Assessment, whom we are sure many patients will remember. 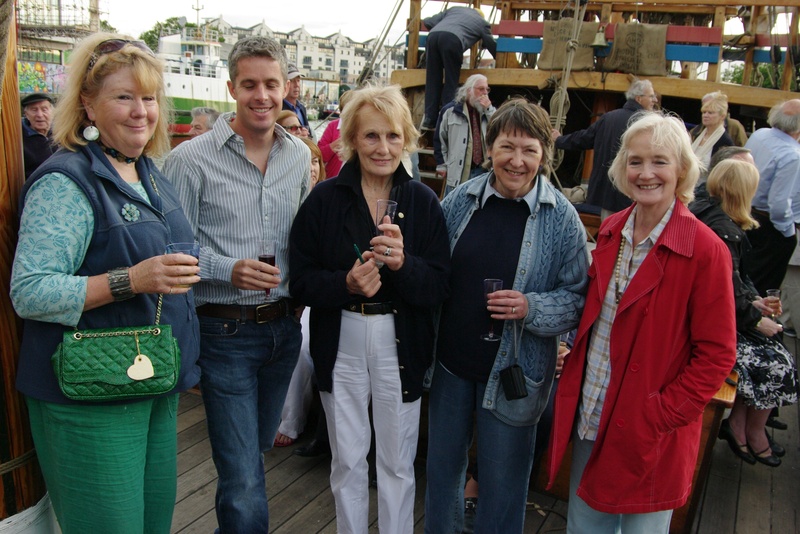 Her career in nursing spanned 48 years of which the last 15 were at Bristol Eye Hospital. 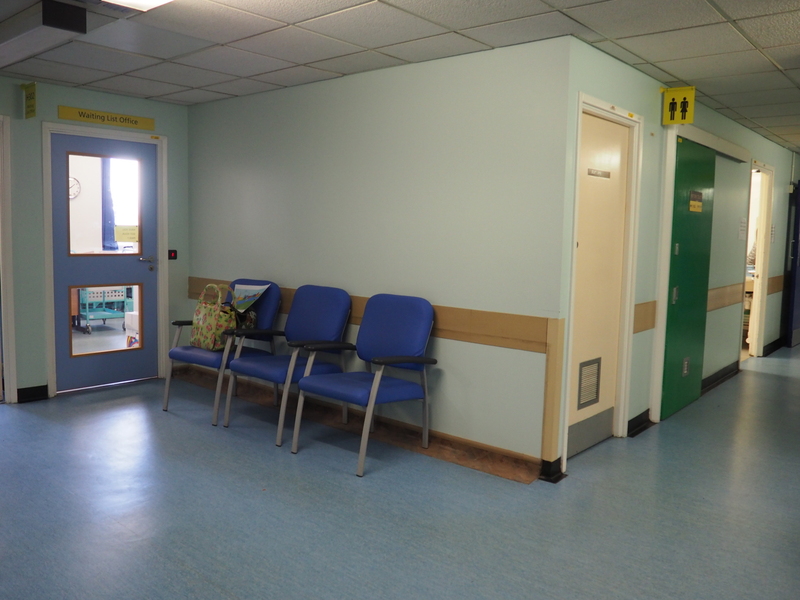 In the early nineties Brenda and her staff pioneered the practice of pre-op assessment; Brenda also initiated hostel beds on King Ward for day-case patients who lived alone - in those days, they were not allowed home on the day of their operation. Liz Annesley, Dinah Harrison, Simon St Leger-Harris, Elizabeth Treherne, Heather Walker and Jenny Ward (representing the Friends and the Bristol Eye Hospital) were amongst many at her funeral in St Peter's Church, Henleaze on Friday 22 February. 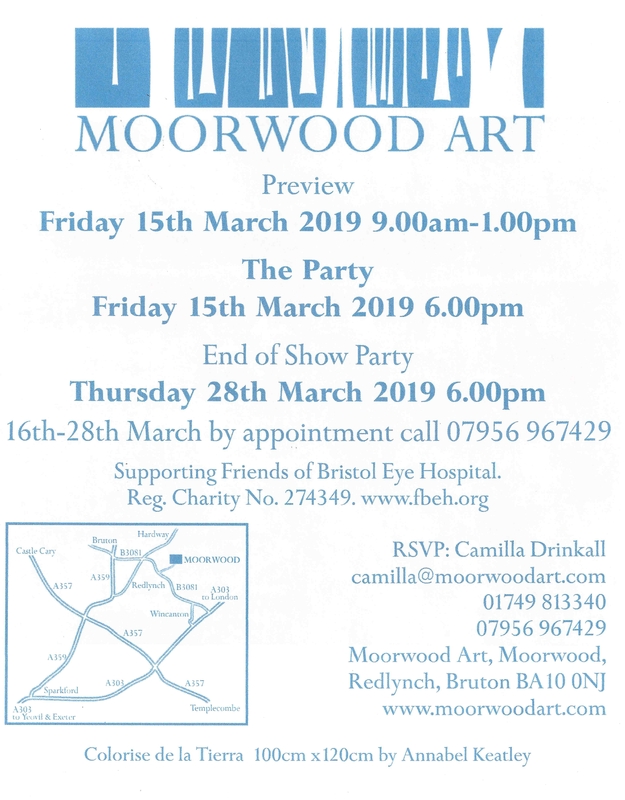 Moorwood Art chose Friends of Bristol Eye Hospital as the charity supported by their 2019 Show, which ran from 15 to 28 March 2019. A report on the Show and the funds raised will follow. We were notified on 21 January that BT are closing MyDonate, our online fundraising and donation platform, with effect from 30 June 2019. Sponsorship, donations, purchase of event tickets or any other payments may continue to be made via the link on the donations page of our website until that date. The Trustees have selected a new provider and as soon as our application has been processed and we have 'gone live', we will publicise details of our new provider on our website, on Facebook and by email to all of our supporters who have consented to be contacted by email, especially those who currently donate to us via MyDonate or who have used it to raise sponsosrhip for us in the past. We have been very pleased with MyDonate's services since we started using them in 2013. We are sorry to see them close. They have enabled us to raise funds from sponsorship and from those wishing to donate by debit or credit card - easily and at virtually no cost. If you have not heard from us and wish to be contacted, or if you require any further information about our stance on GDPR, please contact the Secretary.